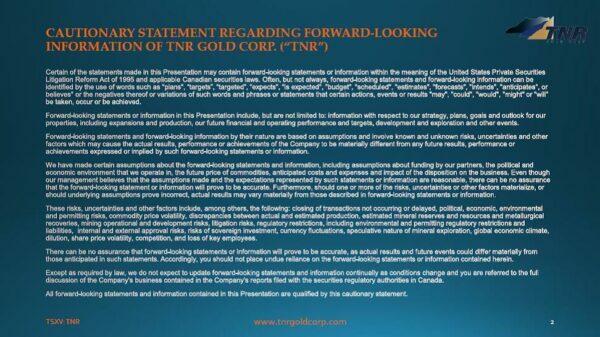 90% TNR Gold Corp. owned porphyry style gold mineralized system that is being targeted for a bulk mineable gold resource. Approximately 190km south of the Donlin Creek deposits. TNR retains a 1.8% NSR royalty on the Mariana Lithium property in Argentina. The project is currently being advanced in a joint venture between ILC and Ganfeng Lithium. One of the world’s largest undeveloped copper deposits of which TNR holds a 0.36% net smelter return royalty (NSR). Located on the Andean copper belt, host to some of the world’s largest copper mines. McEwen Mining Inc. is the owner and operator. To receive our investor package please enter your email HERE. We invite you to learn more about our projects and the people who manage and support our resources. 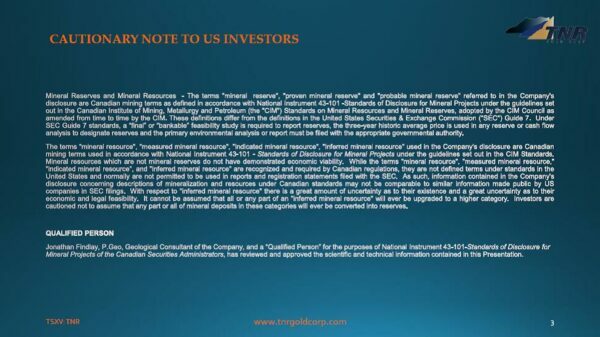 > The Green Energy Metals Royalty Company and Gold. In 2009, TNR Gold founded International Lithium Corp. (“ILC”), a green energy metals company that was made public company through the spin-out of TNR’s energy metals portfolio in 2011. ILC holds interests in lithium projects in Argentina, Ireland and Canada. The Company’s strategy with Shotgun Gold Project is to attract a joint venture partnership with one of the gold major mining companies. The Company is actively introducing the project to interested parties.